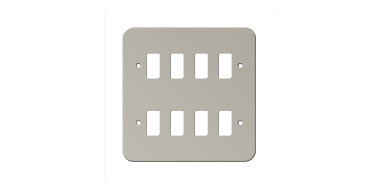 The modular and grid systems from Sparks Direct allow you to install more than 4 wiring devices on the same plate. This can include intermediate switches, dimmers, fuses, DP switches, etc. Although they are mainly used in commercial environments, these customisable modular and grid systems (and the units that work with them) are also useful in the home!